At Window Masters we offer a full array of PVC, Wood, and Metal Clad windows & doors. We specialize in Residential windows for your home or apartment complex. All of our windows are energy efficient with dual or triple pane options. 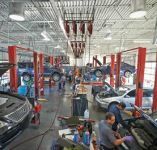 Give us a call and we can figure out what the best product is for your individual needs. The large glass surface of patio doors provides a great view of the outdoors while brightening up the interior of a home. 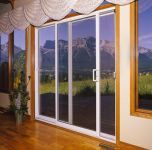 Window Masters has a great selection of patio doors from All Weather Windows. Contact us today. Casement windows are simply pushed open, but most have a hand crank. Screens are placed on the inside of the window, where they're more protected from the elements. If you're installing windows over a sink, counter top or appliance, a casement window with a crank can be the perfect solution. The Single/Double-Hung window is the most common style of window available. Most likely, you have seen a double hung window and not even known what it was called: it consists of two window sashes, one on top, one on the bottom. Window Masters carries a wide selection of entry doors from All Weather Windows. Let us help you select the perfect entry door for your home. We have a wide range of colours and styles. Call us today. Garden doors are still one of the most common and popular features of any home. Garden doors provide great convenient access while creating unimpeded views that flood interior spaces with natural light. Looking to add garden doors to your home? Contact us today at Window Masters. Sliding patio doors still remain a popular solution for new homes and renovation projects . Sliding patio doors provide your home with a clean, open look paired with a smooth functional door. Bay window have three or more fixed sash or panoramic windows, typically with a larger unit in the centre, mulled together on a 30 or 45 degree angle, projecting out from the exterior wall. 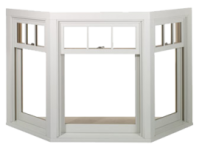 Bow window has four or more fixed sash or panoramic windows mulled together on a 10 or 15 degree angle, projecting out from the exterior wall. Sliding windows from Pella slide open horizontally from one side, providing easy access to fresh air. Choose vinyl or fiberglass windows from three of our product lines to best fit your needs. PVC sliding patio doors give a full unobstructed view outside compared to garden doors. They are also useful when you don't have room to have a door swinging out onto your deck. Daylighting through the roofs of commercial buildings provides many benefits that no other light source can offer. With VELUX commercial products you can provide optimal light distribution in the building's core while minimizing glare and enhancing your architectural designs. VELUX commercial fixed skylights are great for visually expanding interior spaces. They provide an economical alternative in creating a spacious interior that is filled with natural light. VELUX offers a complete system of skylight products and accessories for any lighting solution. From installation right down to the finishing touches VELUX skylights will meet your household need. Select from the product categories to find the right residential skylight for your home. Integrated gaskets drain condensation to the outside. The No Leak Skylight carries a warranty of 20 years on glass, 10 years on product and labour, and 5 years on blinds and controls. Single-hung windows from Pella provide a classic look for any home. They can be raised from the bottom for ventilation. Choose from several different product lines and material types to best fit your needs. Awning windows from Pella are often placed above or below other windows to add architectural interest, light and ventilation to a room. They glide open and shut with the turn of one easy-to-reach handle. Choose from several different product lines and material types to suit your preferences. Casement windows from Pella are a popular choice because they provide a clear view to the outdoors. Since our casement windows open and close easily with the turn of a handle, they're a great option for spots that are difficult to reach, like over the kitchen sink. Choose from several different product lines and material types to best fit your needs. Custom windows, built just for your home. The window sizes you need. Beautiful wood windows. Durable fiberglass windows. Innovative vinyl replacement windows. 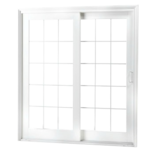 Pella offers all types of window styles. From double-hung windows to sliding windows. Windows with double-pane glass or triple-pane glass. Even basement windows and bow windows. Pella has the right windows for your replacement project. The VELUX product programme includes roof windows and modular skylights as well as a range of decoration and sun screenings, roller shutters, installation solutions and remote controls. Our products ensure a healthy indoor climate. For work and learning. For play and pleasure. They give back to the environment by being highly energy-efficient, generating more energy than goes into producing them. Giving back also guides our way of doing business. We care for the people we work with and the communities we're a part of. For more than 30 years, the Kohltech name has been synonymous with the uncompromising craftsmanship and unparalleled performance of Atlantic Canada’s best windows. It’s not a complicated formula. We are committed to the highest standards of quality, unrelenting pursuit of product innovation, and a lifelong passion for creating beautiful and functional windows.